DFW Fence Contractor home of the hand built fence. We are a local custom fence contractor dedicated to provide great customer service and products. As former military veterans we strive to uphold a standard of high quality fencing to suit your needs. Bluebonnet Fences is a family owned, local business that has been building high-quality fences, decks, arbors and ornamental iron fencing for over 14 years. Whether you’re interested in a wood fence, a wrought iron fence, an arbor or a chain link fence, we can help. Our professionalism and craftsmanship have given us a reputation as a high quality fence contractor. 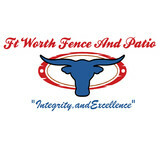 Ft Worth Fence And Patio has over 15 yrs of experience in what we do best.We strive for Integrity,Professionalism,and Excellence to meet our customer's needs.We offer residential and commercial type fencing from standard wood fence to custom fence.We specialize in custom Iron fabrication,fence gates, entry gates,gate operators and patio covers. Over the past five years the staff at Texas Best Fence & Patio have built, customized, and repaired over thousands of wood fences in Lewisville and the DFW area. As one of the largest fence contractors in Texas, we pride ourselves on standing apart from all of fence contractors in DFW by providing true value to our customers. From Dallas to Fort Worth to McKinney and everywhere in between, you may have seen and admired our work somewhere along the way. Our most popular request is a cedar wood fence with galvanized metal steel posts, but we also do a lot of custom fence jobs that other fence contractors may not do based on pictures our customers show us. We love those kinds of jobs… just because we wear tool belts, doesn’t mean we don’t like exercising a little creativity! Besides being one of the largest fence contractors in Texas, we also build automatic gates, arbors and patio covers, decks, retaining walls and other outdoor structures. If you’re not sure what about what you want, don’t worry with traditional fence contractors in DFW… just give Texas Best Fence contractors a call. We can make suggestions based on your layout, square footage and budget. Buzz Custom Fence is a locally owned and operated custom fence contractor with headquarters in Fort Worth, TX. Through a team of contractors and sales reps, we service all of the Dallas Fort-Worth area for any fencing and outdoor stoneware projects. When you move to the country, your gate is your new front door. It needs to be secure – to keep your family and your property safe. But, it also needs to look good – showing off your personality and style. We build custom ranch and driveway gates as well as install/repair automatic openers on existing gates. You don’t want your gate open when you are not home, or when you are trying to sleep at night. And, it is upsetting to hear from your wife who had to get out and open the gate in the rain. You should have the peace of mind that your gate will be reliable. As your partner in security, we have a labor warranty and maintenance plan keep your gate in tip-top shape. When we build your ranch gate, we use techniques that set us apart from our competition. Our posts can be adjusted over time to allow for ground movement, and our hinges are maintenance free (no greasing necessary). If you don’t know where to start (single or double gate, how wide, what kind of operating system is best for your situation, color, shape, etc.) - don’t worry. 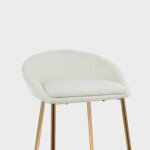 We will make the design process fun and pleasurable. We meet with you in person, draw up your ideas and guide you through the process. Please visit our website and give us a call! Rollins Fence Company specializes in fence repair and fence replacement. We offer a variety of services for roofing including free inspections. We have over 15 years of experience in both areas and we work hard to ensure customer satisfaction. Rollins Fence Company is a family owned and operated business. 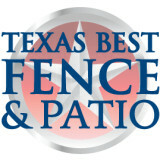 Welcome to North Texas Fence & Deck. We have been doing business in the North Dallas Texas areas of Plano, McKinney, Richardson, Garland and surrounding communities since 1996. We offer a wide variety of services for all of your outdoor needs. Whether it is a simple fence repair or installing a custom fence you the customer will get the same great service. Please contact us at 972-442-2782 for a free estimate. We are committed to customer service. We take pride in every project that we under take. We believe in Quality not quantity. We are not considered a big company and for that reason you will never have a problem getting ahold of us. The owner oversees every job as well as every estimate. Family owned and operated. We service all of NE Tarrant County with a smile! Dependable, quality services at competitive prices! A Affordable Fence Repair's #1 goal is to take care of the customer's needs. A new fence or just a gate, we are prepared to solve your fence problems. AAA Burleson Fence is a family-owned and operated small business here in Burleson, Texas. We grew up here locally and raised our family here. Go Elks! We spend our money here and support our local economy. We operate one crew, one yard at a time, managed and supervised by our family because we care about you, your family and your pets. If we do need a larger crew from time to time, we hire only our local guys. We want you to feel comfortable sharing any questions or concerns with us while we are working on your project. 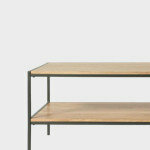 We only use good quality products purchased locally and we will not compromise on cheap brackets or nails that bleed. Every fence we install, we do it as if we are putting it up for our Mom! We are not a big fancy fence company. We work from our home here on Steven Street. We have low overhead and we can pass our savings on to you. We are not the cheapest or the highest, but we know what our fencing is worth. Give us a try! We offer FREE ESTIMATES. 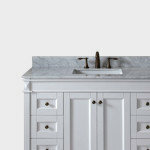 This website has just a few of our recent projects. If you would like to see examples of other types of fencing, please contact us and we can help you find the perfect solution for your home or business. Elite Custom Fence Co. was established in January 2010 and we only know one way to do business, the right way. We believe our clients expect honesty, integrity and knowledge above all else and we provide exactly that. We take the time to talk with clients to understand their specific needs and desires and provide high quality and affordable solutions. While we are a new company, our builders are not new to the business. Our primary crew consists of professionals who have over 20 years experience building fences and they are very good at their job. 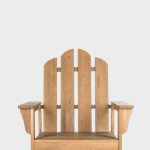 Whether building a basic Spruce fence to the most elaborate cedar design, we have seen and done it hundreds of times. We have extensive experience building decks, arbors, pergolas and other solid roof structures as well. Should your needs include these structures, we can provide an outstanding single source solution. If it’s time to replace your fence, please call David for a complimentary consultation with an obligation free estimate. Thanks for taking the time to visit and we look forward to hearing from you. SAV-ON Fence was founded in 1993 in Glendale, Arizona by it's original and current owner, Mike McDonald. Mike has built his business by demanding prompt, reliable service from his trained fencing technicians and using only quality-made iron, chain link, steel pipe, vinyl and wood products. By maintaining these high standards, SAV-ON FENCE has become recognized as a leading source for fencing and gates in the Metro Phoenix area. Since 2000 NuFence & Wood, LLC has been building, repairing, cleaning, sealing/staining and painting wood fences, gates, decks, arbors, wood garage doors, and doing ornamental iron work in Frisco, Plano, McKinney, Lewisville, Irving and more. We work with residential, commercial and municipal customers throughout the North Dallas Metroplex, and handle anything from basic side-by-side fences to custom build and stain jobs. If we do not provide a service you are looking for, we will be glad to refer you to someone that has expertise in that field. Whether you need to secure your yard or just add some decorative flair to your landscape, fences are an integral part of a home’s exterior and curb appeal. Given their security and aesthetic importance, they need to be designed, installed and repaired correctly — luckily, fence contractors in Roanoke, TX can help. From devising custom fence designs to general fence repair and maintenance, these pros will have your fencing looking fancy in no time! Your Roanoke, TX fence installation and repair professional will work with you to create your ideal fence. Fence installation or replacement. If you are in the market for a brand new fence, a contractor’s services will include walking you through various fence styles and materials, determining a suitable height, ensuring that all fence designs and plans are compliant with Texas building codes, and that the fencing meets both your stylistic and security needs as the homeowner. Fences and gates must complement the grade of your property as well as the type of soil you have, so the contractor should always plan around these considerations. Additionally, if you don’t know exactly where your property lines are, he or she can commission a survey for you. Find a fence contractor in Roanoke, TX on Houzz. Narrow your search in the Professionals section of the website to Roanoke, TX fence contractors. You can also look through Roanoke, TX photos to find examples of fencing and gates that you like, then contact the professional who worked on them.